Making the most up-to-date tally of Minding the Gap's festival award recognitions a staggering 22 in total, just this past weekend the film earned the Millennium Docs Against Gravity Grand Prix, the Millennium Docs Against Gravity Lower Silesia Grand Prix, and the Nashville Film Festival Documentary Competition Grand Jury Prize. 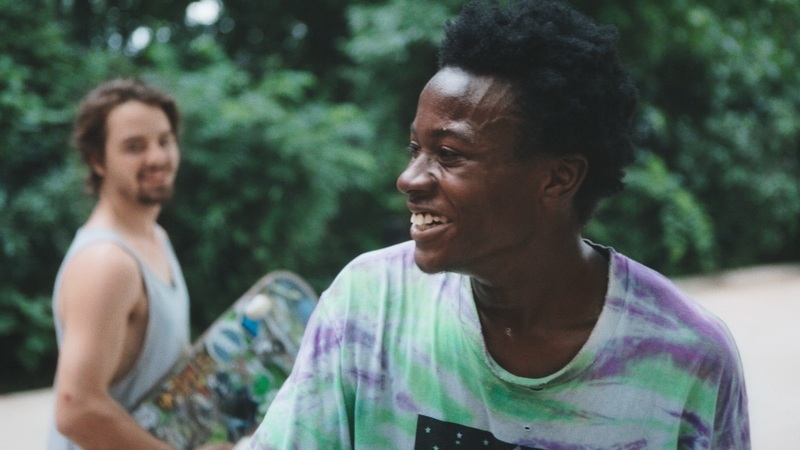 Minding the Gap picked up a new title upon its introduction into the Polish market: "Jutro Albo Pojutrze," roughly translating to "Tomorrow or the Day After Tomorrow." Listen to an interview with director Bing Liu on Radio Wroclaw. MINDING THE GAP is the #NaFF18 film to beat. So good. Bing Liu is a filmmaker to watch. It screens again this Sunday at 3pm. Film review: OMG GO SEE @MindingGapFilm. it is extremely wonderful: a personal doc that's not about ego, a film about masculinity and domestic violence that's also about love, an ethically-made intimate portrait of humans. plus skateboarding! It was a clean sweep for Kartemquin at the Nashville Film Festival, with '63 Boycott taking home the fest's Grand Jury Prize for Best Documentary Short this past week. Minding the Gap next screens at the Mammoth Lakes Film Festival, Mountainfilm, Sheffield Doc/Fest, Canadian Sport Film Festival and AFI DOCS. Find a full list of upcoming screenings here.